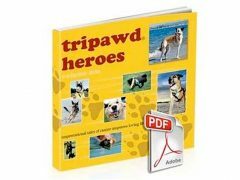 Is your dog or cat exceptionally lumpy? Do you lose track of spots, lumps and bumps on their body? 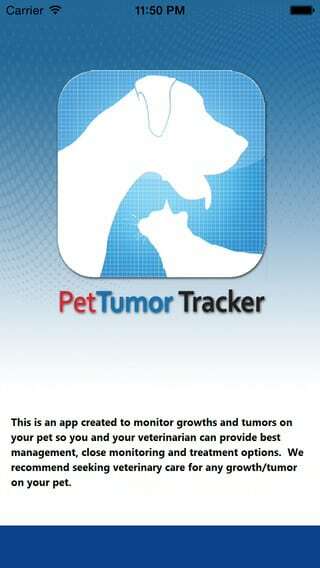 If so, the Pet Tumor Tracker app by Veterinary Oncology Services is for you. We made this happy discovery while looking at current clinical trials offered by Veterinary Oncology Services of New York. VOS is an advanced pet cancer care clinic with services ranging from electrochemotherapy to the newest novel cancer vaccines and targeted cancer therapies. Veterinary Oncology Services created the Pet Tumor Tracker app to help you help your vet. This .99-cent app for iPhone or Android smart phones helps you identify and track changes in a lump’s size, color or consistency, then relay this information to your veterinarian. First, create a profile for each of your pets. Next, you’ll take a photo of the tumor and add it to the profile. The app lets you choose between tumor types, such as benign, mast cell, etc. This is helpful if you already followed Dr. Sue’s #WhyWaitAspirate advice to “#SeeSomethingDo Something” about the lump and know what you’re dealing with. You can describe the lump as much as you’d like. You’ll also note where the tumor is located by tapping the area on the pet diagram. Overall the app is pretty good and super easy to use. 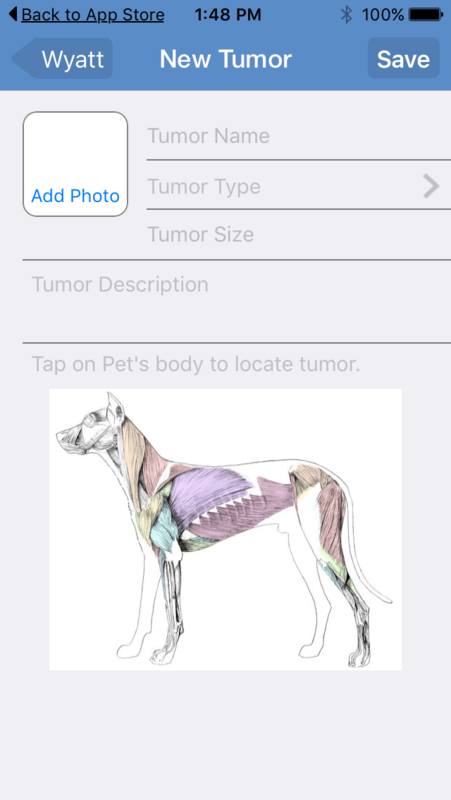 We only wish it would be updated to two things: 1) automatically measure the size of the tumor, and 2) have a left and right image of a dog or cat body to easily show what side the tumor is located on. 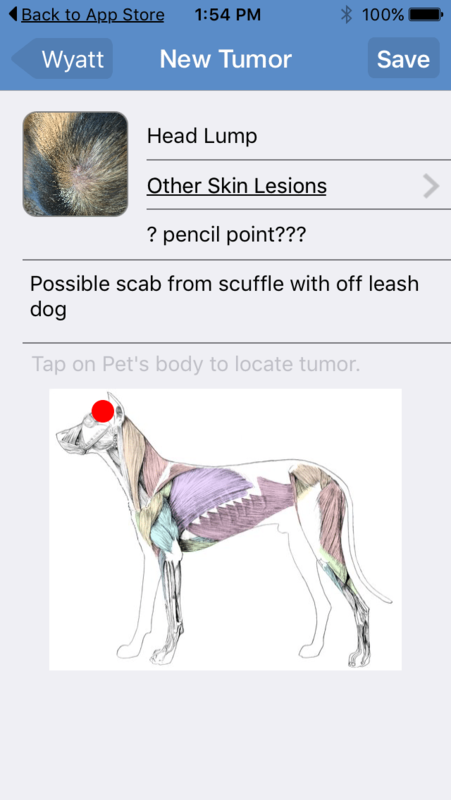 Remember, the Pet Tumor Tracker app is not a substitute for an exam by your veterinarian. Always have lumps and bumps looked at by your vet before jumping to any conclusion. Not even the most experienced veterinarian can look at or feel a mass and know if it is cancer or not. 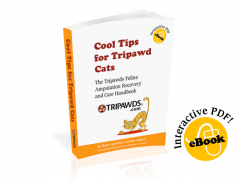 Your veterinarian must perform an aspirate or biopsy to make an accurate diagnosis. Quite an amazing tool, especially for any on this journey obsessed with any kind of lump anywhere!